All too real is the nail-biting feeling of your iPhone battery life falling quickly, with no charger in sight. It’s moments like those that you wonder, why didn’t I just plug it in earlier? Why was I on Instagram for three hours today? WHERE IS MY BATTERY GOING?! There are a few handy tips and tricks to keep your battery out of the red. 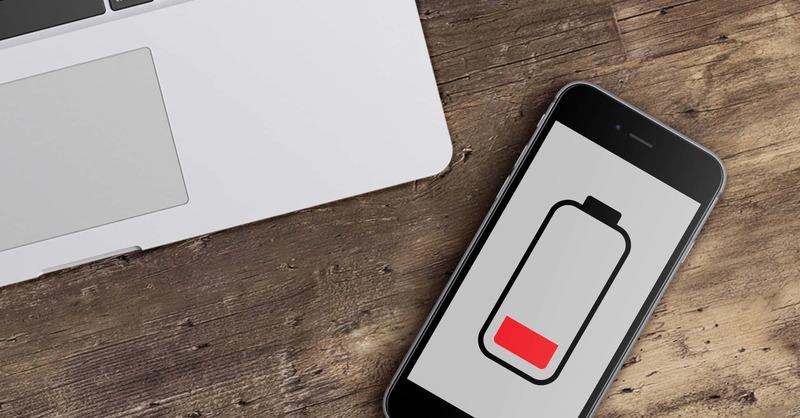 Here are some steps to help save and extend your iPhone battery life. Be aware of your usage. 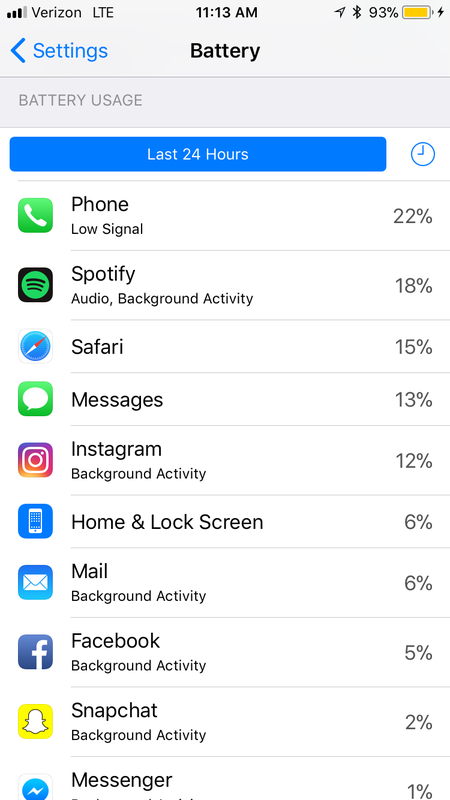 By going into “Settings > Battery”, you can see which apps are using the most battery. Unfortunately, some of your favorite apps such as Instagram and even Messages can really drain your battery. Being mindful of your time spent on these apps can help to extend your battery life. Turn off Background App Refresh. There’s a feature in your iPhone that allows for automatic app refresh, another tool that drains your battery. Go to “Settings > General > Background App Refresh” and tap the toggle to “Off”. Turn on Low Power Mode. This handy tool is like a built in battery life extender. 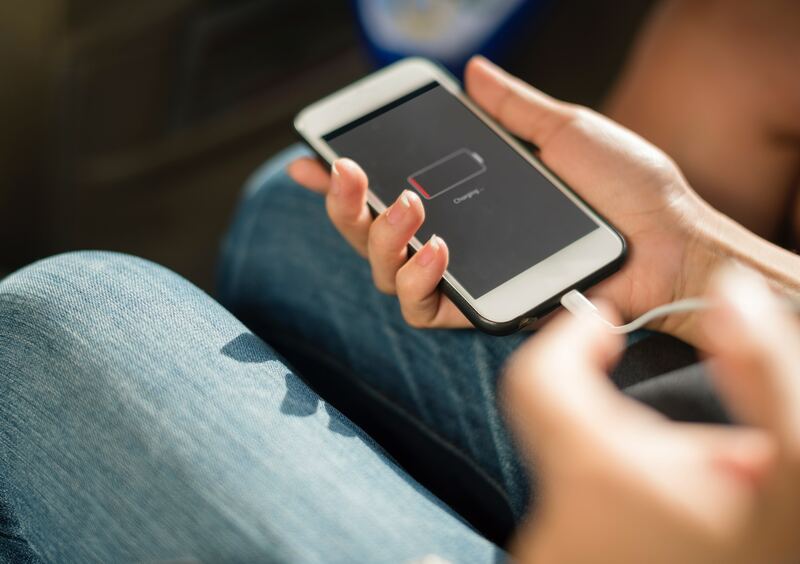 This feature will help to save your iPhone’s battery by dimming the screen, cutting back on animations and limiting apps such as iCloud and AirDrop from syncing. This function will also automatically turn off once your iPhone is charged to 80%. To access, go to “Settings > Battery” and tap the Lower Power Mode toggle to “On”. Use Airplane Mode for the fastest charge. 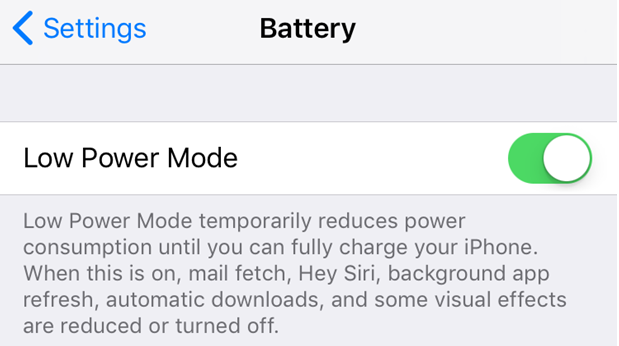 If you’ve got only a few spare minutes to charge your iPhone, turn on Airplane Mode. This function is used to maintain your battery while flying without searching for data. It can also be used to slightly speed up the charging process by limiting its reach. This isn’t ideal if you’re expecting an urgent text/call/email, but it will get faster charge. Go to “Settings > Airplane Mode” and tap the toggle to turn it on. Following these steps will definitely help you to see less red when it comes to your iPhone battery life. Our site has a huge selection of like-new iPhones with healthy batteries as well. Check it out!